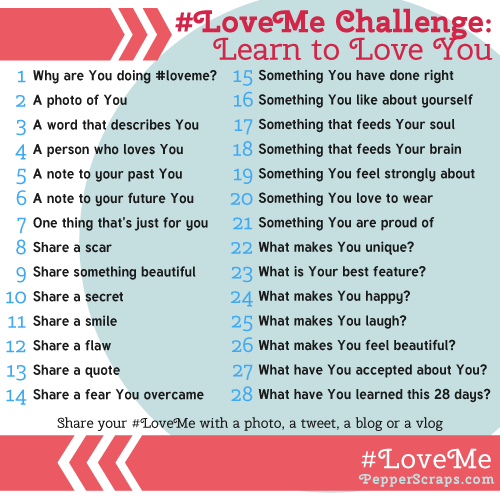 Being Frugal and Making It Work: February #LoveMe Challenge: Day 7! Since becoming a wife and mother, I rarely make purchases for myself. I'd rather buy cute clothes for my two kids, or something that I know my husband would want or use. I think that most moms can relate, and I know I'm not the only one. Day 7 of the #LoveMe Challenge is to share one thing that's just for me. As difficult as it is for me to take time for me, have something just for me, or buy something just for me... I think that the one thing that's just for me that I enjoy most is my blog. I love being able to share my experiences with others and my blog is the perfect outlet for that! What is your favorite thing that is just for you?